One of the new features in the HTML5 specification is the canvas element,which allows the browser to render three-dimensional shapes. This opened the browser as a new medium for digital art projects. By applying JS, we build responsive web, iOS and Android apps within one team together with React Native cross-platform space. So with JS we just deploy and download the apps right to the respective store. Open-source library created by Facebook. So that to program scalable user interfaces, we use JSX scripting language which ensures easy-to-market enter. With React Native, we can power up your next application. Accelerated data retrieval possibility is an indispensable feature for your app, especially if you launch a project that implies Big Data operations. Build you reliable, efficient solution. By using Angular.js, we develop websites whose key characteristic is rich user interface. What we do is take the user experience to the next level by putting together well-known components, features and development practices. 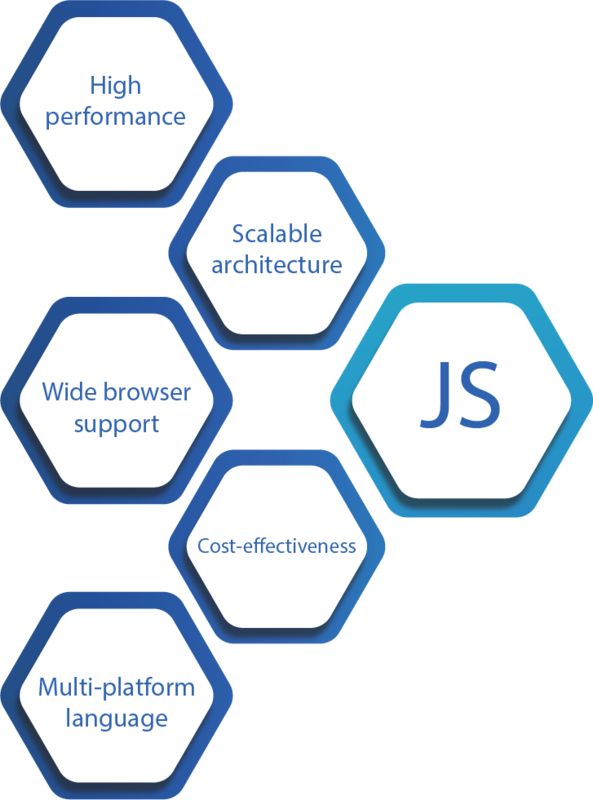 All this makes Angular.js the best choice for real-time apps, front-end web and mobile applications development. Easy-to-manage, nevertheless scalable In case you are looking forward to receive something more that efficient operation of your future software product, we choose to grow your business via Node.js technology. Сreate your app’s load-bearing infrastructure with one of the prime technologies. Enjoy your speedy developed app under cost – effective budget.